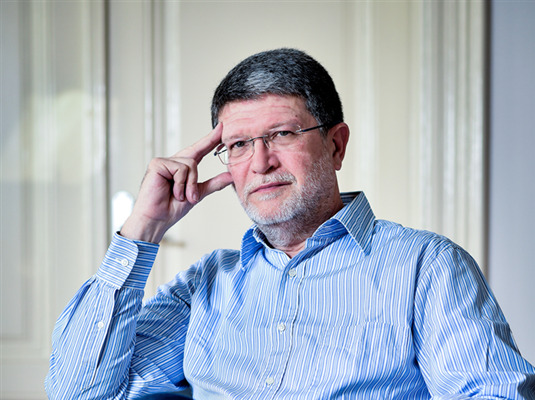 MEP Tonino Picula talks about the recent visit of the European Commission to the Croatian islands that he organized, benefits for Croatia after joining Schengen and his work in the European Parliament, in a big interview with Slobodna Dalmacija. You have recently visited the islands of Cres, Krk, Lošinj, Unije, Zadar and Pag with representatives of the European Commission, representatives of the Directorate General for Energy (DG ENERGY). A project for an energy island has been presented at Unije. How likely is the expansion of such projects to our other islands? I ask that because despite the regular problems with the supply of water and electricity on some of our islands in the summer, we are very slowly changing our ways? Examples of good practice, and of course island Unije is one, show that it is possible. Whether this "infection" will extend to other islands depends on several factors. First of all, it is about consciousness and then the islanders' decision to change and improve living conditions and to make their islands richer and more energy-efficient. This, of course, is not the only, or possibly the biggest, problem affecting our islanders, but it is a problem that the Union currently wants to deal with and it is an opportunity we should use. We do have knowledge and good experiences in such a transition to renewable resources and sustainable resource management and there is also money from European funds available for these purposes. Unije is a small island on which, during the winter, only 50 islanders live. The scope and intensity of their troubles naturally surpasses the energy field. However, the islanders of this small island have almost unanimously supported the project of energy independence and expressed the desire to participate directly in it, which is crucial for its success. The process of change goes slowly, but progress is being made. This week, an agreement was signed on the construction of the largest solar power plant in Croatia, 6.5 megawatts power, to be built at Island of Cres, at Orlec Trinket. If Unije, Cres and Krk can do it, I don't see any other reason why the story should not spread to the south, especially with the strong support we have from the EU. Of course, the energy future of islands also depends on the support of responsible national bodies that should recognize the energy transition of the island economies as a priority and provide them with adequate support, as well as correct some past mistakes such as the ban on building wind farms on the islands. For solving island problems, both energy and others, it is necessary to make all levels of political decision available to islanders who know how to do it. You have initiated the establishment of the Secretariat for the islands within the European Commission, the first working body dedicated exclusively to the islands. What opportunities does this open to Croatian islands interested in improving the quality of life? The establishment of the Secretariat for the islands filled in the gap within the EU administration, which almost ignored the fact that, not counting the island nations (UK, Ireland, Cyprus and Malta), 2136 European islands combined 455,000 km2 and nearly 19 million inhabitants, making up the fourth largest Member State by area and eleventh per inhabitant. Over the next two years, the Secretariat for Islands has the task of directly assisting all, and even Croatian, islands to make plans for transition to renewable energy sources and to help find financial resources. The European Commission has mandated the Secretariat to organize five sets of workshops for islanders as well as two island energy forums to raise awareness of the importance of using clean energy as well as about capacites for their implementation. In short, the Croatian islands have a unique contact point in the Secretariat that they can contact at any time, being even at the very beginning of the energy transition. On the other hand, the Secretariat is at the same time assisting the Commission in adapting the existing policies and funds for energy on the islands, so there is an indirect but also a long-term assistance for the islands, and a better understanding of their needs.